Marti Buckley called her time in Spain “a crazy eight years.” She was a baker for an artisan bakery on the beach in San Sebastián and joined the staff of Mimo, a food and travel company that specializes in cooking courses, gourmet retail shops and culinary tourism. Photos by Simon Bajada. A new book about an enigmatic, food-centric region in Spain already is stirring up a stateside buzz. The author of the book, however, isn’t a Basque Country native – or even Spanish. 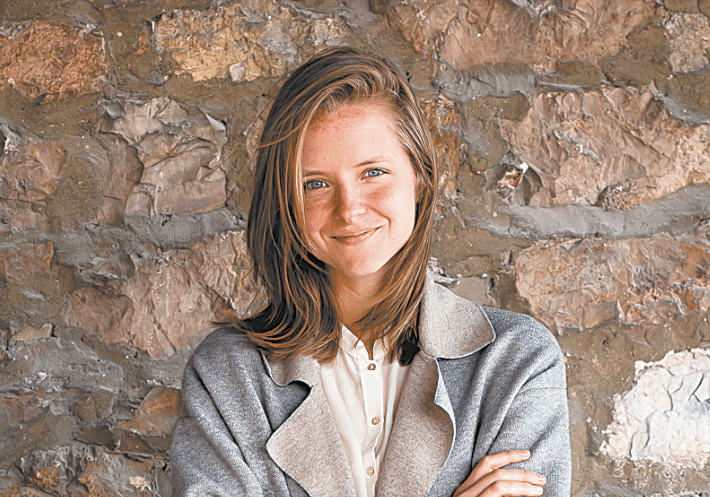 Writer and chef Marti Buckley grew up in Homewood. Buckley went to LSU and studied abroad in Pamplona, a Basque city. After college, Buckley returned to Birmingham. Buckley called her time in Spain “a crazy eight years.” She was a baker for an artisan bakery on the beach in San Sebastián and joined the staff of Mimo, a food and travel company that specializes in cooking courses, gourmet retail shops and culinary tourism. She writes a blog called travelcookeat.com, and her articles have appeared in media outlets such as Travel and Leisure, National Geographic Traveler, Afar and The Telegraph. She talks about food and lifestyle trends on Gastrofera, a Basque radio program. Best Foodie Region in the World? Basque Country is home to more Michelin-starred restaurants per capita than any region in the world. It’s known for its pintxos (tapas), iconic dishes such as bacalao (salt cod), and its celebrated eating clubs. The region’s rich food traditions and culture left Buckley with a question: Why wasn’t there more information about it? That’s when the idea of writing a book first occurred to her. The writing process took several years. The labor-intensive project paid off with a book that she said allowed her to combine her interest in food, travel and culture. The Birmingham restaurant where Buckley once worked is hosting a cocktail event and book signing for her on Sept. 11. On the menu for the event at Bottega are Spanish omelet, shrimp kebab with pepper vinaigrette, Spanish ham with goat cheese and sundried tomatoes, croquettes, squid in its own ink, and a mini serving of walnut cream. Drinks include vermouth, a Basque Country white wine called Txakoli, and Rioja Gabaxo, a Spanish red wine. 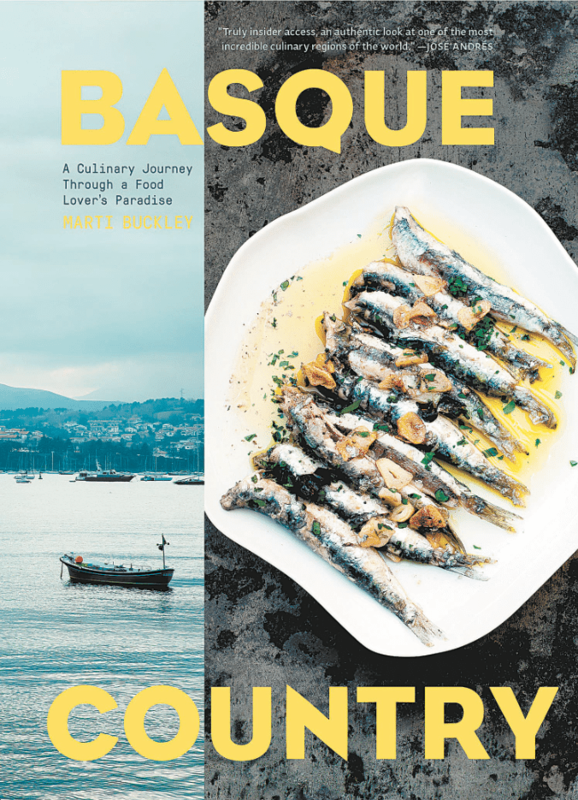 In his endorsement of “Basque Country,” Frank Stitt wrote that “Marti Buckley makes you fall in love with the unique, real, and rustic flavors and textures of Basque Country, where the pursuit of something great to eat is given cult-like status. For more information about the Bottega event, send an email to info@bottegarestaurant.com or call 939-1000. Buckley also advised checking her blog for other possible Birmingham-area events. “Basque Country: A Culinary Journey Through a Food Lover’s Paradise” is $35 and available through Amazon, Barnes & Noble and Books-a-Million. Follow Buckley through her blog at travelcookeat.com or on Instagram @martibuckley.